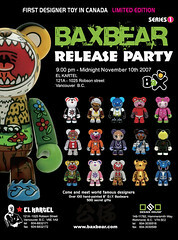 On a rainy nite of November 15th, infamous Vancity “one-stop” Graffiti shop Third Gallery hosted the collaborative 2008 PVC Customs Artshow. 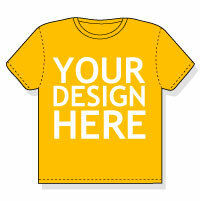 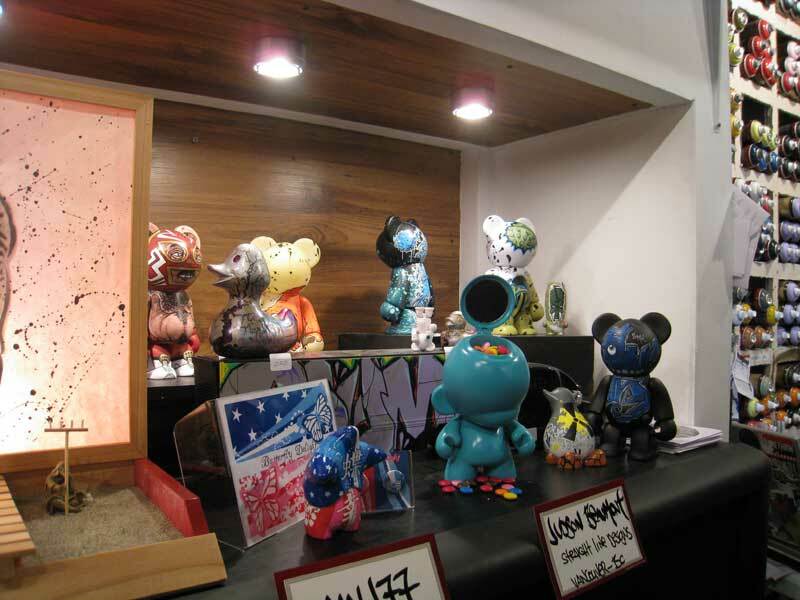 There were over 40 artists from all over the world invovled, and OSO Design House is one of the major sponsor for the show. 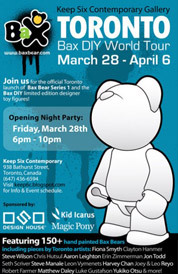 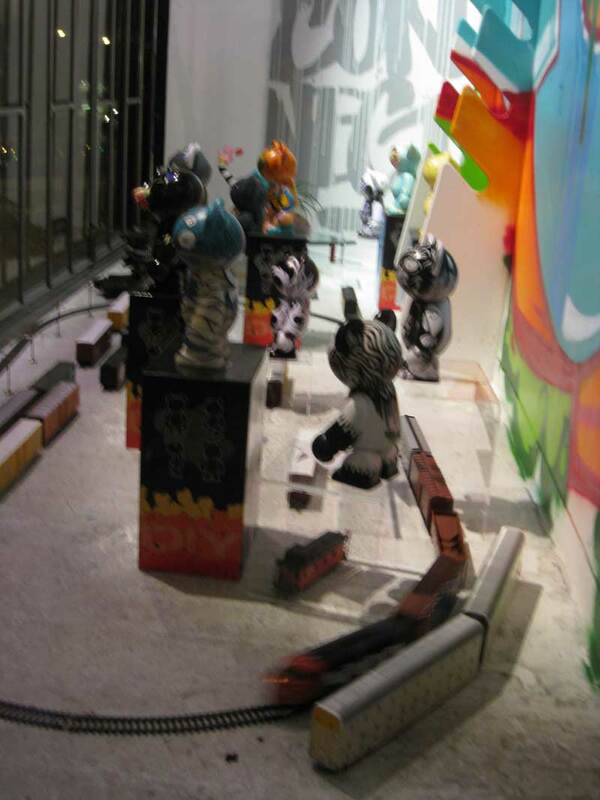 Below is the sweet window display at the gallery with custom train sets going round some of the custom Bax Bears. 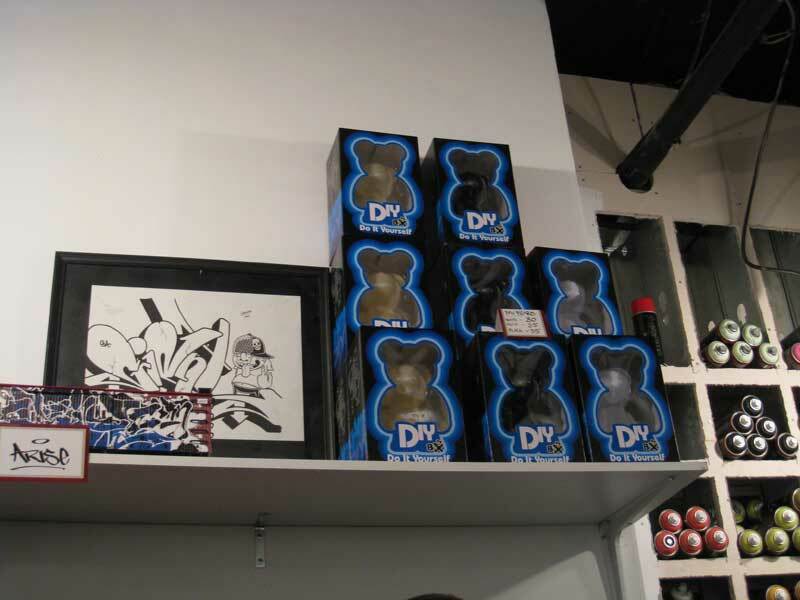 Stacks of DIY Bax Bears for days…get yours now at Third Gallery! 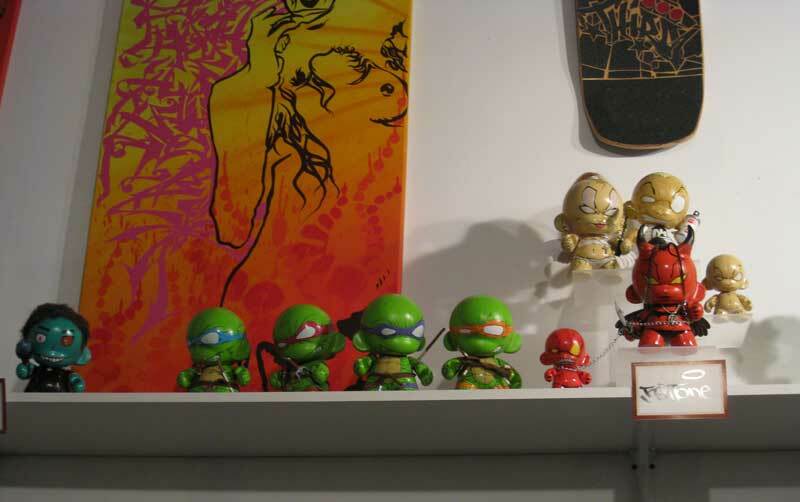 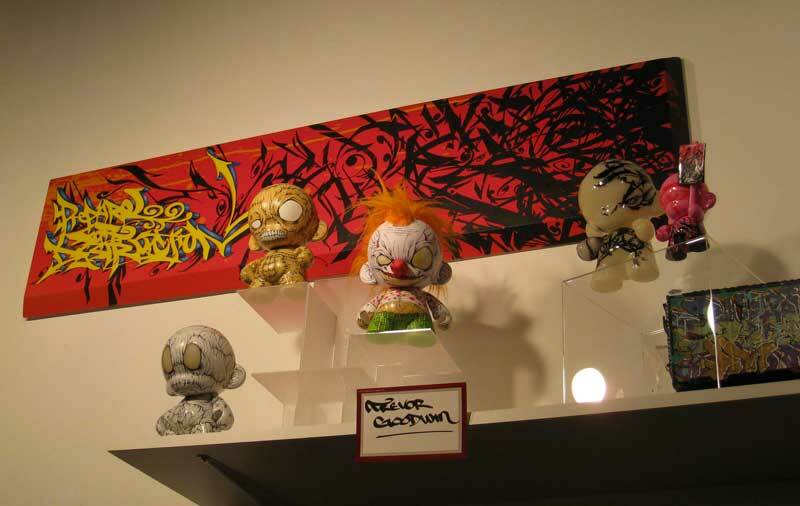 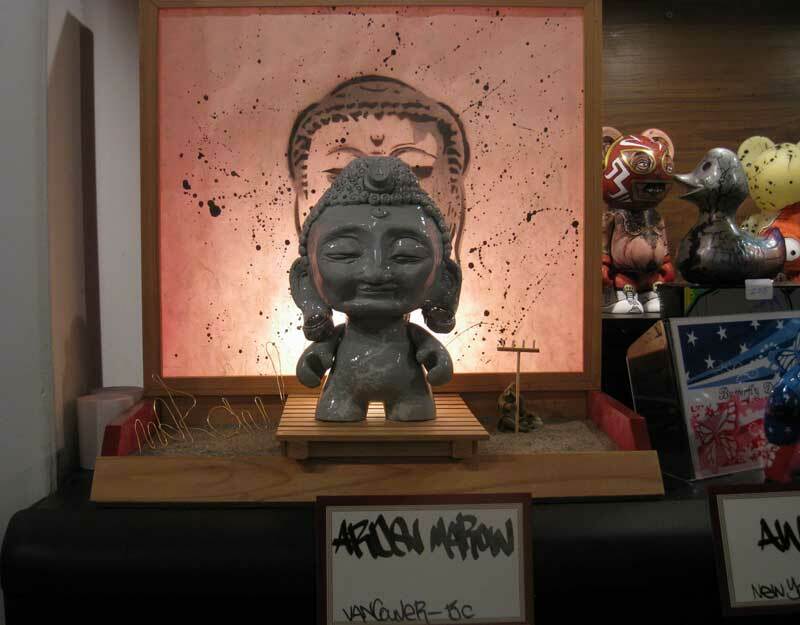 The Custom Buddha Dunny is definitely the “head-turner” at the show. 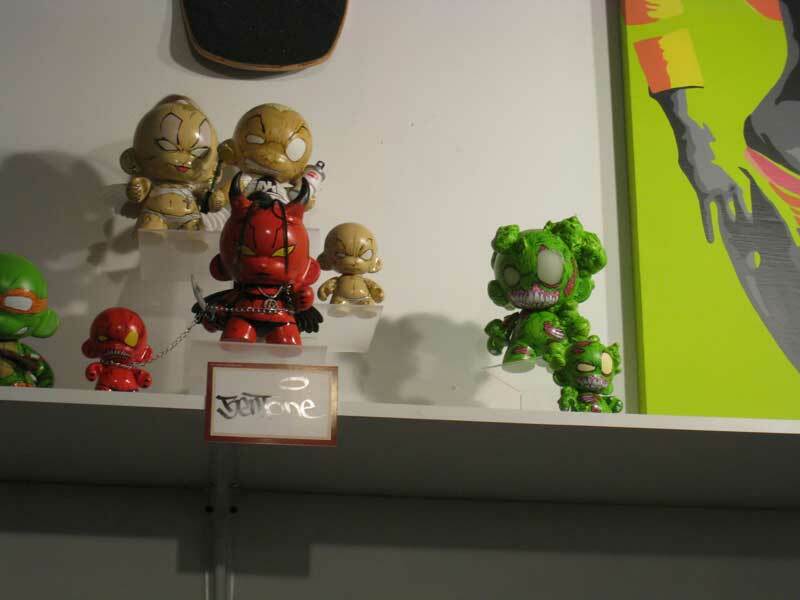 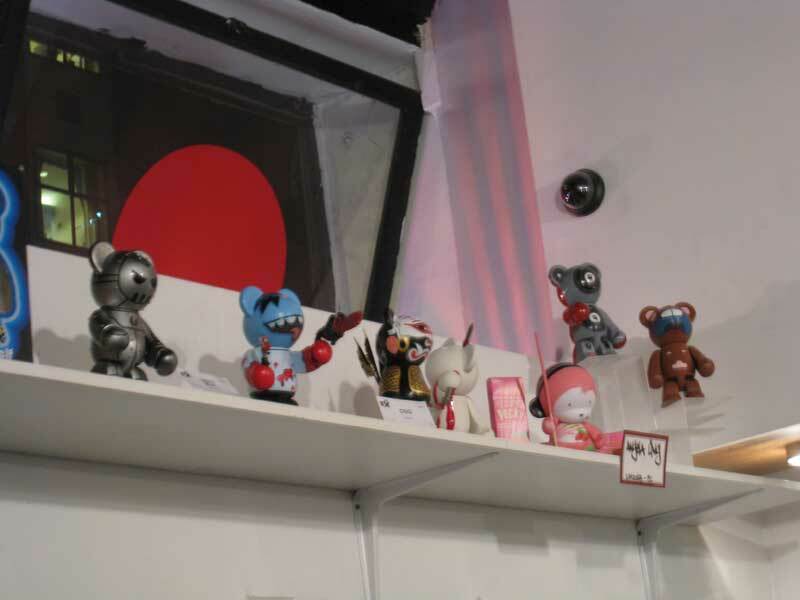 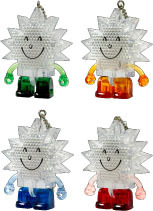 If you missed out on the show, don’t fret since you can still get all the DIY and Series I Bax Bear at Third Gallery alongside with their huge variety of paint pens and sprays for all your toy-customizing needs!